We’ve put together a list of the best Bixi stories from yesterday and today, so you can get up to speed on what happened and what’s likely to happen next. “It’s too early to talk about impact,” a National Capital Commission spokesman says. Chicago and New York City refuse to make $5.6 million in payments while they await a much-delayed software upgrade. From the CBC in Canada. The New York Times weighs in. A quick story from Maclean’s magazine. The Chicago Tribune and the National Post have good articles explaining why the bankruptcy of BIXI Montreal does not spell disaster for ALL of the BIXI-powered systems. Atla Bicycle Share of Portland, which operates BIXI systems in the U.S. and in Australia, may be brought in to take over operations of the Canadian systems in Toronto, Montreal, and Ottawa. Back when Bixi was inaugurated, Montreal’s tourism department produced this video about how Bixi works. 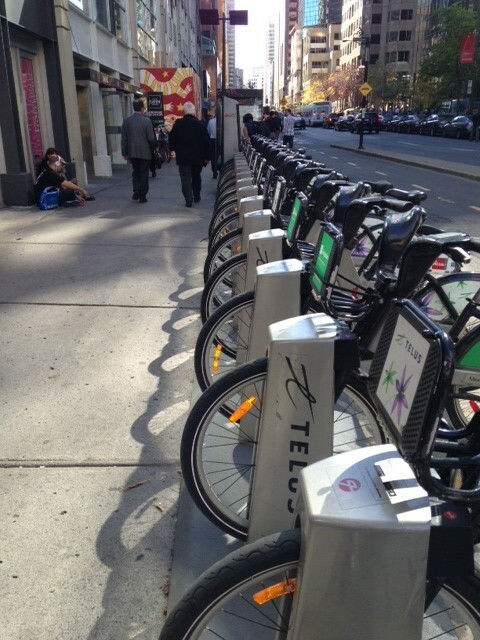 The mayor says Bixi will be back in some form this spring. If it doesn’t, this video is now a historic record.